I've been seeing many people say good things about Susane Colasanti's many contemporary books, so when I saw this one, I decided to give this author a shot! 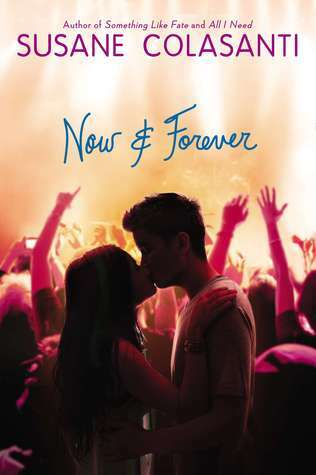 Now & Forever initially seemed like a cute and quick contemporary read, but it quickly evolved into something much deeper than that. This novel is focused on the important lesson of staying true to yourself even though life (and people) are changing all around you. Certain aspects of the main character, Sterling, I loved (for example her fixation on correcting typos) and others I didn't. I was also a bit disappointed by the direction Ethan's character took. The way this novel wraps up had me feeling like Ethan's problems were still unresolved. It almost felt as if we were missing a huge chunk of Ethan's storyline in this novel because Sterling isn't there a majority of the time to narrate Ethan's troubles that were hinted at a couple times throughout the book. Perhaps both the boredom and missing pieces that I felt could have been fixed if this novel would have been told as a dual POV alternating between Sterling and Ethan. "I wanted to go to that hotel ever since I saw Serendipity. The scene where Sara is waiting by the elevators hoping that Jonathan pressed the same floor number she did was legendary." ^I LOVE Serendipity! One of my absolute favourite movies! Overall, the core message of this book was great, but the execution of it fell flat for me. 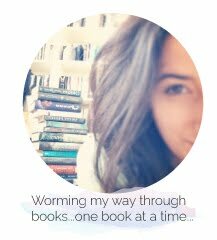 I've read a few novels focused on celebrities and fame this month, and I think now is a good time to give myself a bit of a break from them :P Have you read Now and Forever? What were your thoughts on this novel? Be sure to let me know in the comments below! Keep Reading!